You may be wondering how to change your life for the better because you don’t like it or something about it. You probably want more time, money and freedom as well as peace, joy and bliss. And surely, you want a quick, easy, painless way to change it with long lasting or permanent results. OK, got it! No problem. Just read this entire post and you’ll have the solution to all the problems you’ll ever have. And, you’ll also learn how to not create any new ones. First, I need to lay the groundwork. A few pieces of understanding for the foundation. One, there are no problems. Everything that happens in your life happens to make you conscious. That’s a good thing, not a problem. Actually, it’s in your best interest to not mentally fight anything; simply except and forgive and you’ll immediately drop a lot of stress and anguish; and change your life for the better. You may think that’s trite and/or possibly that just a mind shift won’t change much of anything. Your reality is a reflection of that which you have thought. 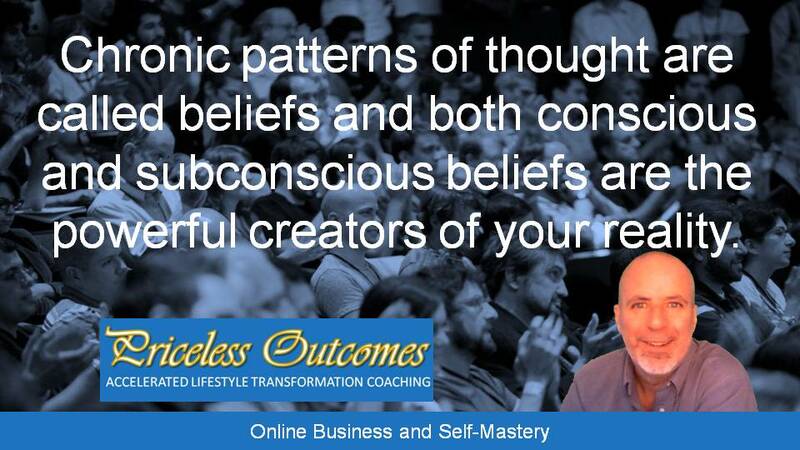 Chronic patterns of thought are called beliefs and both conscious and subconscious beliefs are the powerful creators of your reality. Yes, I know there’s a huge debate about conscious, unconscious and subconscious. I’ll save my input for another day, as I disagree with many professionals (comment below if you want my understanding from 20 plus years of meditation and research; I’ll comment sooner than later). So, if you change your thinking, your reality will change and you’ll change your life for the better. It’s very easy and anyone can do it. But there is a kinda “trick”. The trick is that you have to become conscious. Therefore, consciousness is the solution to all problems. Now, if you are thinking anything but “I just received the keys to the universe”, then you are not grasping the full impact of what I just gave you. It took me years and years of studying, research, observation, meditation and my own self work before I acquired that understanding. So, I ask you to contemplate if consciousness is the solution to all problems. Is that true? How could that be true? Just so you know, what I did was I just planted a seed in your mind. And, if you do contemplate it, it will grow and you will become more conscious, and the more conscious you become, the more you’ll change your life for the better. If you do nothing, the seed wont grow and flower. You’ll continue suffering with life and your mind until you consciously decide to do something. So, the first step to change your life for the better, permanently forever, is to decide to change it by following a path of consciousness. The next step, then, is to start down that internal path to become conscious. Your next question should be about how to be conscious. As I see it, you have several simple choices. Pay attention to your thinking. Attention is the baby stage of consciousness. Consciousness is the witnessing of your thinking (another big clue). Start by noticing the positive and empowering thoughts vs. the negative and dis-empowering thoughts. Continue reading this blog as I’ll be sharing more subtle insights including how to remove those unwanted negative, dis-empowering thoughts and reprogram your mind with positive, empowering thoughts; and more tips and insights to raise consciousness. What is really important right now is that you have decided to change your path. Take some time to contemplate consciousness being the solution to all problems or take some action on one of the above steps. The consequence of becoming conscious is peace, joy and bliss because when you become master of your mind, you control what and how you feel. And, the more conscious you become the more you will understand and appreciate feeling good. Then you will always choose the ease of conscious thinking and feeling good over effort, pain and struggle of unconscious thinking. To wrap this post up, if you are thinking that I didn’t give you the solution to more time, money and freedom, I did. There is no problem that consciousness doesn’t solve. Period! If you ever think you have come across a problem that can’t be solved by consciousness, simply contemplate it for awhile or meditate on it and you’ll find that it will. But, if you want a better answer for more time, money and freedom; setup and automated sales funnel, with email followup, to sell your products and services on the internet. That’s the best way to have more time, money and freedom. Be aware though, true freedom is freedom from the burdens of your mind. The reason I know these things is because I’m trained as an online business strategist and my passion is self-mastery. I’m also a coach. So, if you’d like accelerated business or personal growth results, simply visit Priceless Outcomes and I’ll help you get where you are going faster and with less effort, stress and struggle. Anyway, decide and take the right action, right now, and you will change your life for the better, forever.